The UK tourist visa requirements are clear and easy to understand. Most part of the UK tourist visa application process is online. The UK or the United Kingdom is comprised of England, Scotland, Wales and Northern Ireland. To visit any of these four countries, you would need a UK tourist visa. The UK tourist visa application process is long. Make sure to start your UK visa process at least two months from your intended date of the travel to the UK. First, check if you need a visa to travel to the UK in the “UK tourist visa requirements” section above. Alternatively, you can check your eligibility and requirements on the UK gov website. Do I need to book my flight before applying for UK visa? You should not book any airfare/hotel until your UK visa is approved. But for the visa application, there are a couple of ways you can print a flight itinerary and hotel booking without actually booking airfare/hotel. British Airways lets you email a fare quote which can be used as a flight itinerary. Websites like Orbitz lets you cancel an airline ticket within one day of booking by 10pm CST. For hotel, book something that has a “refundable” or “pay at check-in” option on booking.com or Expedia. Take the print of the hotel booking for your visa application and cancel the booking after your visa is approved. The UK visa application fee is £89 GBP. The online visa application will guide you through the payment options and will email you a receipt once your complete the payment. The UK visa processing fee varies slightly based on which country you are applying from. It’s usually between £89-95 GBP, paid in your local currency. As part of the online application process, you will be prompted to make a visa appointment at your nearest UK Visa Application Center. Visa Application Centers are run by either VFSGlobal or TLSContact in conjunction with UK Visas and Immigration. On the day of the appointment, you will give your biometrics (fingerprints and photo) and submit your original documents. You must bring all your original documents along with one photocopy of each including your passport. You must give your biometrics at your nearest Biometric Enrollment Center and later send/post your documents to the nearest UK Visa Application Center. During your online UK visa application, you will be prompted to make a biometrics appointment at your nearest Biometric enrollment center. Biometric enrollment centers in the USA are run by the US homeland security. Biometric enrollment centers in Australia are run by the Department of Immigration and Border Protection. Biometric enrollment centers in New Zealand are run by Immigration New Zealand. The biometrics appointment takes about 10-15 minutes. You will give your fingerprints and photo. You will receive an acknowledgment stamp on the biometric appointment confirmation. You must then send/post your original passport, visa application, biometric confirmation with the stamp, supporting documents and return postage to the UK Visa Application Center you have selected during your online visa application. You will be notified via email when the UK Visa Application Center receives your documents. If you know you have to travel to the UK or any other country sooner, then you can purchase “Retrospective Priority Visa Service” to speed up your application process and passport receipt. Priority visa service costs about $170 USD. Priority visa service applications are processed within 5 days. Priority visa service must be purchased during your online visa application. This will ensure your visa is processed within 5 days. Purchasing this service after you have submitted/mailed your documents is not very efficient. You must first pay the fee at VFSGlobal website and then have to email the receipt to the Visa Application Center where you have submitted/sent your documents. It can take more than a day for the UK VAC staff to locate your packet and push it into the priority queue. I have purchased my priority service after I have mailed my documents. My visa application was approved within two days of purchasing priority visa service. Unfortunately, contacting UK Visas and Immigration customer service is NOT FREE. Below is UK Visas and Immigration contact information and charges. Emails inquiries cost £5.48. Follow-up emails after that are not charged. You will receive a response to your email within 2 working days. The UK consulate will keep your passport for the entirety of the visa process. If you are applying for UK visa in a third country, it can be scary to not have your passport with you. In the event of an emergency, you can either (1) withdraw your visa application or (2) expedite your visa application by paying an additional fee. To withdraw your visa application, you must submit a withdrawal request along with the reason for withdrawal to the consulate via email. It might take up to 72 hours for the consulate to locate your packet and send it back to you. Most airlines do not let you check-in online if you need a visa to travel to the destination country. If you check-in online or at the airport, make sure to arrive at the gate a bit early and see the airline staff. They may have to confirm the visa requirements again, otherwise, they will not let you board the plane. Make sure your passport is valid for the entirety of your stay in the UK. The officers at the first port of entry may ask you a few questions on your arrival. Questions can be mostly on how long is your trip, what will you do, etc. Bring a copy of your return/onward ticket and your hotel/hostel booking. I was asked to show my return/onward ticket. If you are flying out of Heathrow airport, make sure to arrive early. The airport is huge and you may have to take a bus from the gate to the flight. 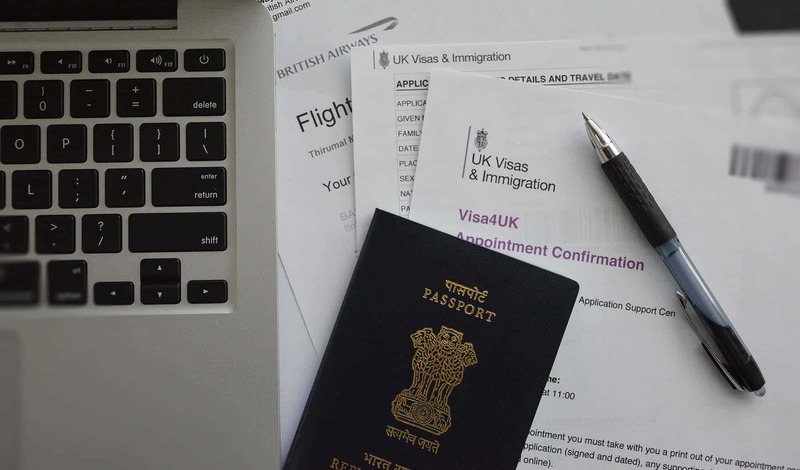 FAQ: Do I need to book my flight before applying for UK visa? You should NOT book any airfare or hotel before your UK visa is approved. In the event of visa refusal, you will lose the money you have spent on your flight or hotel. For your UK visa application, get a flight itinerary by either holding a flight reservation or purchasing a refundable flight ticket. British Airways provides the option to email a fare quote which works as a flight itinerary for your visa application. Hotel booking sites such as Expedia or Booking.com has plenty of “refundable / pay at check-in” options. Read my article on how to get a travel itinerary for visa application for more information. 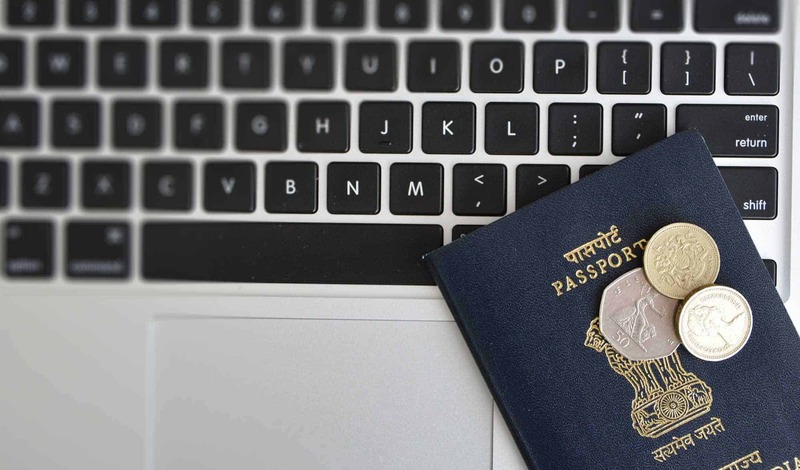 GWF reference number is the unique visa application number that was provided to you on your visa application submission. You must provide your GWF number when calling or emailing UK Visas and Immigration. Without the GWF number, UK Visas and Immigration will not be able to provide you with a status update on your visa application. 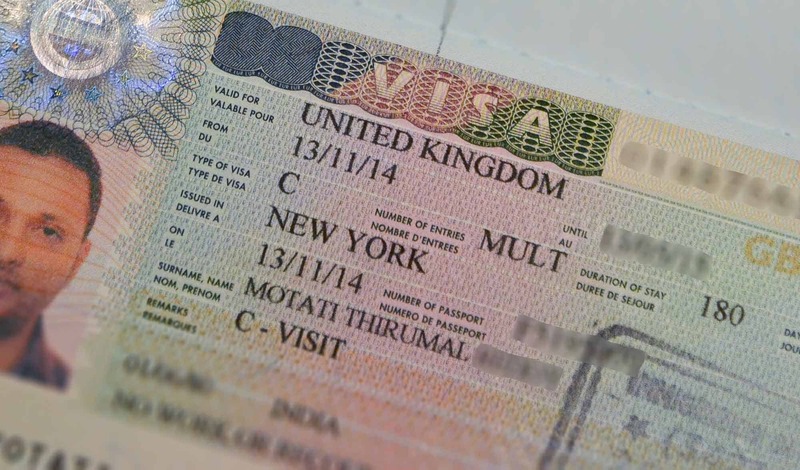 FAQ: What documents are required for UK tourist visa? 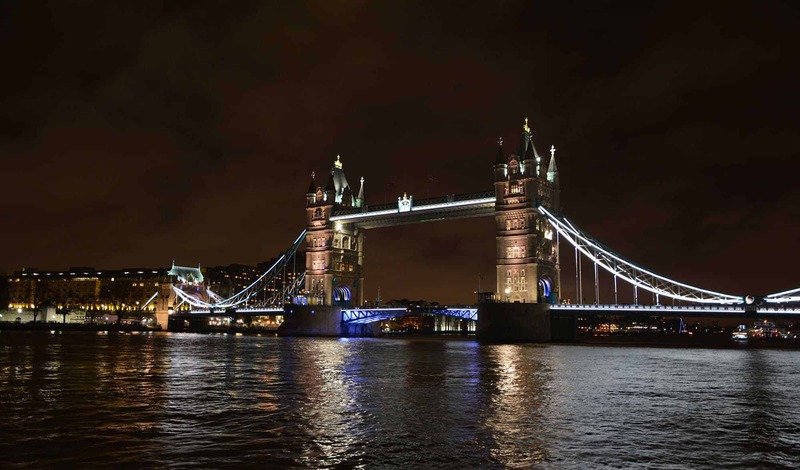 FAQ: What are the UK visa photo requirements? A passport size photo is only required if are exempt from biometrics. All tourist visa applicants have to give their biometrics during UK visa appointment. Your fingerprints and photo are taken during the biometrics. Since all tourist visa applicants have to give their biometrics, a passport size photo is not required. But, I suggest bringing one with you on the day of your UK visa appointment for just in case. FAQ: What is the current UK visa processing time? The UK visa processing time depends on where you have submitted your application. The standard UK visa processing time is 15 days, though sometimes it can take more than 30 days. One big mistake most applicants do is to apply for UK visa too close to their travel date. Due to long processing times and lack of proper tracking, it is recommended to apply for UK visa at least 2 months before your travel date. If you know you have to travel sooner, you should purchase “Retrospective Priority Visa Service” during your online application. Or at least before you send/submit your documents. This will ensure your visa will be processed within 5 working days. Purchasing priority visa service after you have mailed/submitted your documents is not much useful. You must purchase it on VFSGlobal website and then have to email the receipt to the Visa Application Center where you have submitted/sent your documents. FAQ: How much is the UK visa application fee? UK visa application fee is £89 GBP. The fee will be charged in your local currency and it slightly varies based on the exchange rate. It’s usually £89-95 GBP. FAQ: How to track UK visa application status? Online visa application tracking is NOT AVAILABLE on UK Visas and Immigration website. To track UK visa application status, you must use UK Visas and Immigration’s email or phone option, which unfortunately is NOT FREE. You must give out your credit card information for billing when you start the phone inquiry. For email, you must fill out the payment form and then you can submit your email inquiry. Email inquiries generally receive a standard response saying that your application is “in process”. Phone inquiries are slightly better and cheaper. FAQ: Can I withdraw my UK visa application? Yes. You can withdraw your UK visa application. Any visa fee and priority service fee that is already paid are not refundable. The UK visa application center will keep the passport during the entirety of the visa process, which could be up to 30 days in some cases. There may be emergencies where you need to have your passport with you. The only way to request your passport back is by formally withdrawing your visa application. The standard procedure to withdraw your UK visa application is to send a withdrawal request to the visa application center. You must first call/email the UK Visas and Immigration mentioning your intention to withdraw your application. They will guide you through the process of withdrawing your application. Usually, UK visa application withdrawal request should be a signed document with personal information including the GWF number. This document must be printed and signed. It must be scanned and emailed to the visa application center. Below is a sample withdrawal request letter. I hereby request to withdraw my UK visa application. I understand that the visa fee is non-refundable. I also understand that my package may not be shipped for up to 72 hours. Reason for Withdrawal: Emergency international travel has been scheduled. I need to have my passport in order to travel. Please return my passport as soon as possible. Thank you! Voluntary withdrawal of your visa application will not have any bearing on the result of future visa applications. FAQ: Can I cancel my UK visa application? Yes, you can cancel your UK visa application. The procedure to cancel your application depends on at what stage your application. If you haven’t paid your fee and haven’t submitted your application, there is a “Delete Application” option which will delete your current visa application. If you have already paid your fee and not yet submitted your application, you can still delete your application but you may have to send a formal refund request in writing to the visa application center. If you haven’t mailed/submitted your documents, you can just abandon the visa application. Nothing needs to be done after. Any visa fee and priority service fee paid are not refundable. If you have already submitted your documents, you must email the visa application center a formal withdrawal request. On receipt of the withdrawal request, the visa application center will return/send your passport back. Any visa fee and priority service fee paid are not refundable. Voluntary cancel or withdrawal of your visa application will not have any bearing on the result of any future visa applications. You must disclose any criminal convictions you have in your UK visa application. UK Visas and Immigration may ask for additional documentation if needed. Failing to declare criminal convictions can not only lead to visa refusal/denial but also can lead to visa and entry ban for up to 10 years. FAQ: What to do if my UK visa application is refused/denied? If your UK visa application is refused or denied, first thing is to understand the “reason for refusal/denial”. If the reason is due to lack of proper documentation, funds or proofs, then make sure to have those the next time you apply for the UK visa. You can re-apply for UK visa by making sure you have all the documents, funds or proofs that were lacking previously. You must pay the visa fee again as the fee paid for the old application was non-refundable. If you do not know the reason for your visa refusal/denial, give at least 6 months before you apply for the visa again. FAQ: Can I get my UK visa application fee refund if denied? No. Visa fee and any priority service fee paid are non-refundable if your visa application was denied. Visa fee is also non-refundable in incidents where the visa is approved for less number of days than requested. The UK tourist visa requirements are clear and easy to understand. But, the visa application process is long and expensive. Apply at least 2 months in advance, follow all the proper steps and documentation. Tourist visas are usually multiple-entry with 6 months validity.